I just know I’m gonna rock the cold days with some awesome GLITTER-BOMBED nails! 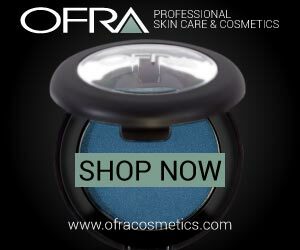 If you wanna see the swatches, Click More! *holds microphone* Before we start I’d like to thank China Glaze for making the glitter lovers extra happy this winter. OK, Are you ready? Here we go! Can you see it? Do you see it too? Walking outside in the snow with this awesome silver glitter mani. 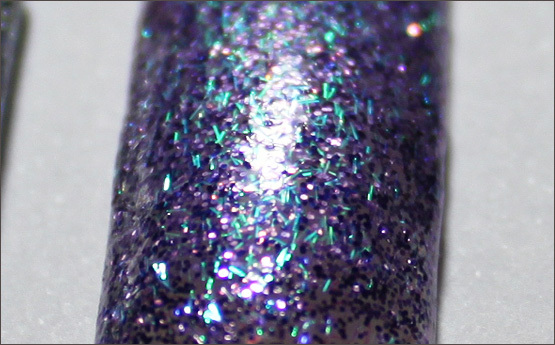 What makes this polish so unique is the blue hegaxonal small glitter chunks in it. I think this will be gorgeous to layer over dark blues! Pictures do this beauty no justice. In real life this shines, and sparkles and it’s just heart melting, really. With an amethyst base infused with silver glitter and multi-tonal string glitters, this is a real stunner! 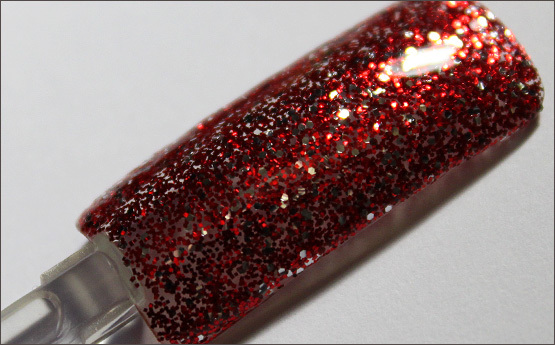 The string-glitters really make this polish. Again, I do think this is gorgeous over black. It’ll really make everything come alive. 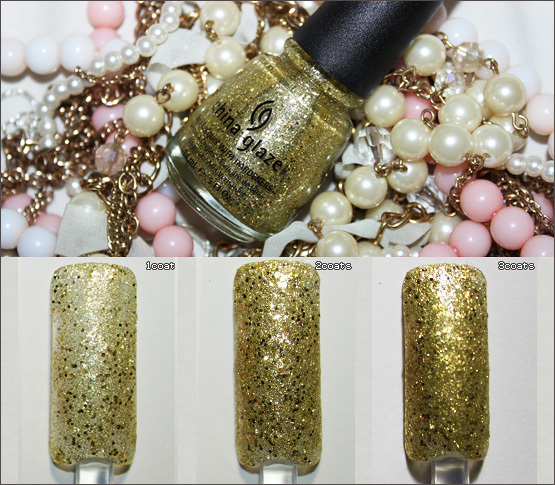 This is a beige-y/rose base infused with soft silver glitters and now and then a holographic hex glitter chunk in it. Personally, I’m not a big fan of these kinds of pinks. But hey! I bet there are plenty out there who’ll love this. 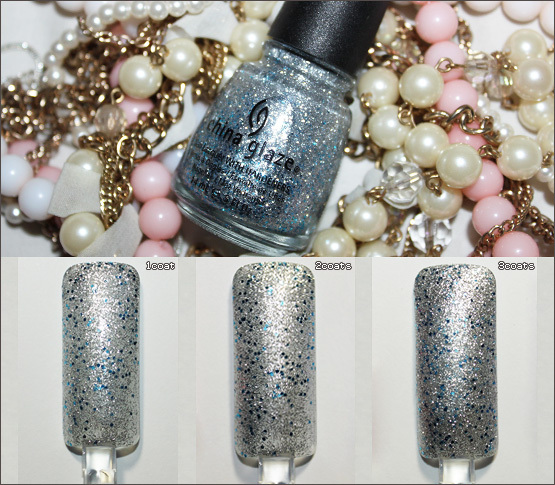 But that’s because of the flash which made the silver glitters look white(just like the background). This has to be one of my faves from this collection. A wonderful christmas color! Along with ”Love Marilyn” this has to be my favorite color of the collection. 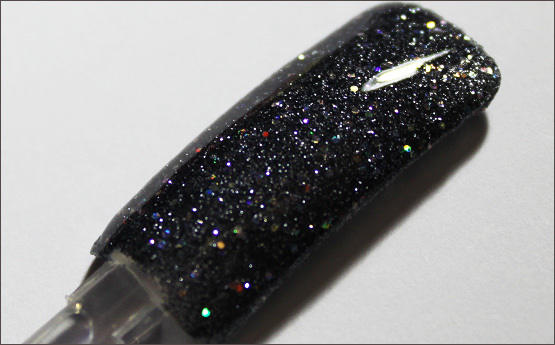 It’s dark, smoldering, unique and the holographic hex glitter chunks make me drool. It looks like outer space to me. Yes, I am kind of obsessed. This also is one of the most opaque of all.. Which is always nice! Gold, Gold Gold! 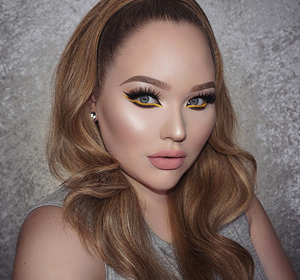 If you love gold, you’ll obsess over this one. It’s really pretty! There’s nothing more I can say about this one… It’s just really pretty. I had so much fun with these new colors. 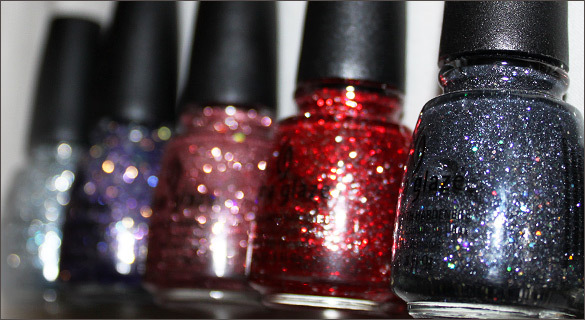 And if you love glitter, definitely check these out! 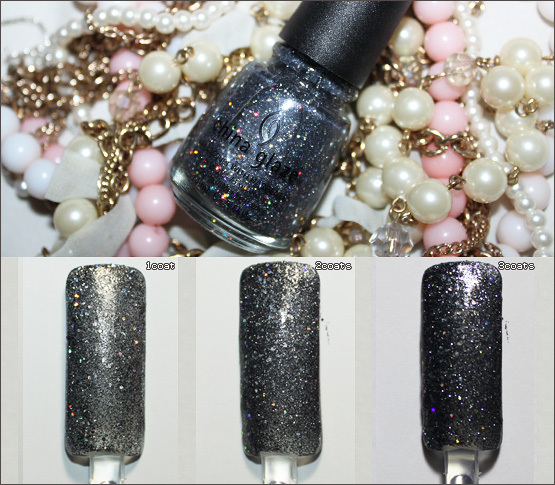 Favorites of this collection defnitely are: ”Love Marilyn” & ”Some Like It Haute”. 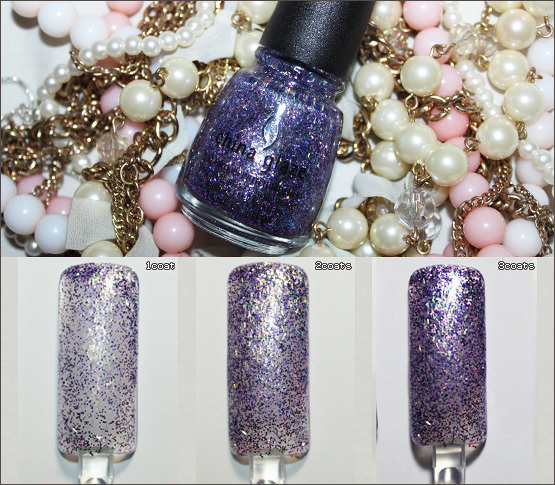 China Glaze nail lacquers are available through salons and professional beauty supply stores worldwide. I personally like to get my China Glaze online here. This entry was posted in Nail Polish, Swatches. Bookmark the permalink. Love Marilyn has got to be mine someday! Lorelei’s Tiara is nice too! I love Material Girl, it’s so pretty! 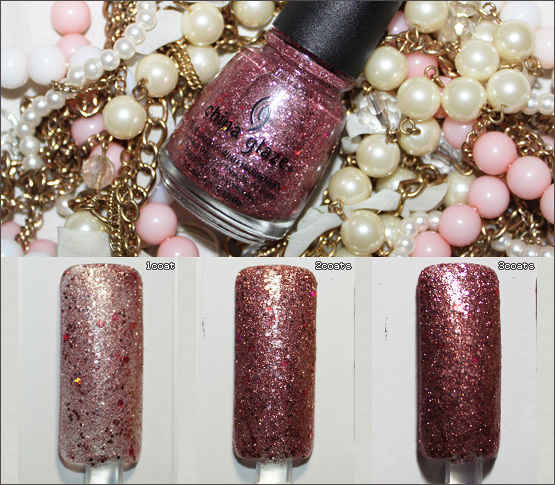 waar koop jij china glaze? 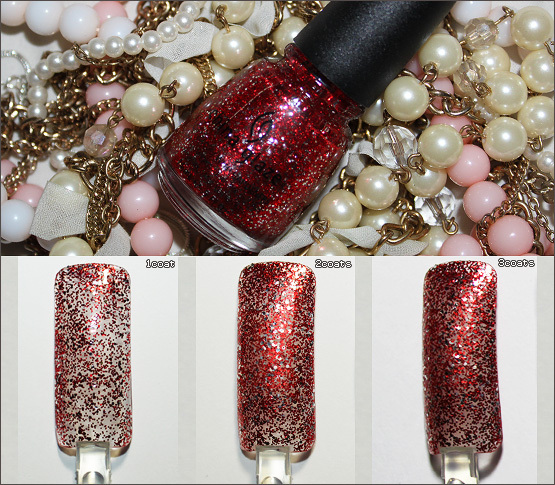 If anyone has it, how does Love Marilyn compare to the red glitter from OPI Muppets?